The competition is in Veterans Hall, which is on the second floor of the Ellison Campus Center. There is a 110 competitor limit for this competition. The Ellison Campus Center is #10 on the map which can be found here. Money raised from this competition will be going toward the SSU Community Service Group in order to assist those affected by Hurricane Harvey in Texas. In order to compete in this competition, you must both pre register AND pre pay. The registration fee for this competition is $20.00 and includes food for competitors. If you both register and pay but do not see your name on the competitor list within 48 hours please email the organizer here. Registration will open, but payment will begin November 15th and close on December 2nd/when registration fills, whichever occurs first. Payments can be made at the following link. The maximum number of payments has been reached. If you have paid but do not see your name on the registration list, please email the organizer. There will be no waitlist or registration at the door. We apologize if this causes any inconvienence, however it gives an exact count to the number of competitors to plan accordingly. This schedule is subject to change, however we will be attempting to stick to this schedule as closely as possible. *Cutoffs/Time Limits subject to change as needed. Groups are posted below. Please know your groups in advance as we will not be calling individual names, just group numbers. Travel information is going to be posted as soon as Campus Police respond with what lots and garages can be used. An email will also be sent out as soon as it is known. The competition is organized in part by the Community Service Initiative. - "The Community Service Initiative is a group from Salem State University which was created to make the world a better place. The organization volunteers locally, as well as nation wide, helping those in need. One of the major service opportunities the organization takes part in is a service trip with Habitat for Humanity. This past year the group volunteered in Beaumont, TX to help build a home for a family in need. Many parts of Texas, including Beaumont, have been destroyed in the wake of Hurricane Harvey. The Community Service Initiative is organizing a relief trip where students will be sent to Texas to help with the post-storm relief. Students are looking forward to helping those affected by this natural disaster and in need of a helping hand." 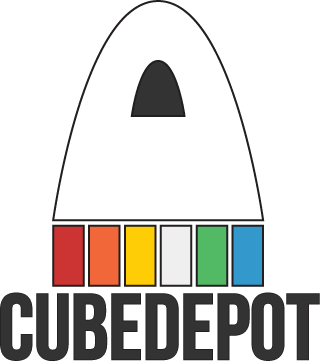 The competition is sponsored by CubeDepotUSA. CubeDepot will be vending and supplying prizes for the winners. Lunch will be provided for competitors and included in registration. We will not be able to provide lunch for guests however, so please plan accordingly. In downtown Salem (a short drive from the venue) there are multiple food options. There are also a couple within short walking distance from the venue.